Nashville may be an embarrassment of riches when it comes to music, but R&B artist JMR is one of its crown jewels. Releasing his debut EP Ritual as JMR on Republic Records in 2015, Joshua Michael Robinson received praise from SPIN and a multitude of digital press outlets. 2016 saw a Jai Wolf collaboration with the inspired track “Gravity,” and a rare live date playing with longtime site favorites Vinyl Thief at their farewell show (RIP). 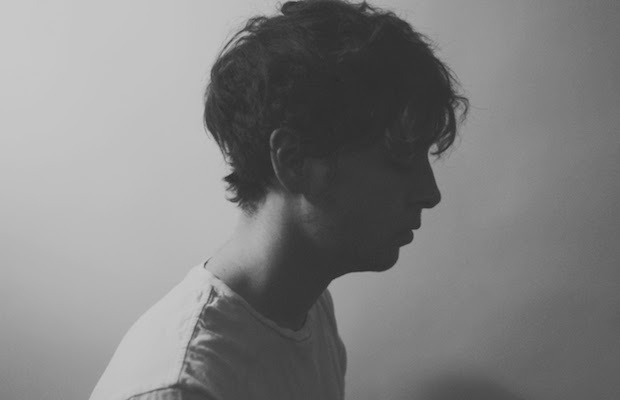 After parting ways with his former label, JMR is independently releasing his latest EP Boyish. We first caught wind of Boyish through a video stream of it at JMR’s childhood bedroom at boyish.online. Childhood trophies, a Nintendo 64 controller, and other adolescent items make for nice juxtaposition when set to the mature sounds of JMR’s new release. The self-produced, seven track effort features collaborations with Salaam Remi (Amy Winehouse, Miguel, Estelle) and Robert Glasper (winner of the 2012 Grammy Award for ‘Best R&B Album’). When talking about JMR, his vocals usually get the most love and attention. And rightfully so. But once you’re finished being wowed by his amorphous, soulful voice, take a moment to appreciate the production and songwriting on Boyish. Minimalist R&B has been making waves for a few years, but JMR uses space purposefully rather than simply riding on a sparse trend. “Not Said Enough” says volumes in moments of only voice and piano before glowing with strings and percussion. EP closer “Coke Can Motorcycle” is a slow-motion ride into a sunrise, driving to some lighter place on the horizon than the place you departed from. “June Carter” channels the iconic Cash couple to muse, “I’m your dark dress savior / I’m your undertaker / I’m your prisoner shaker / I’m your favorite.” It’s an emotive link between our city’s storied country history and its diverse present day. Preach, JMR, preach. Listen to JMR’s Boyish EP below.